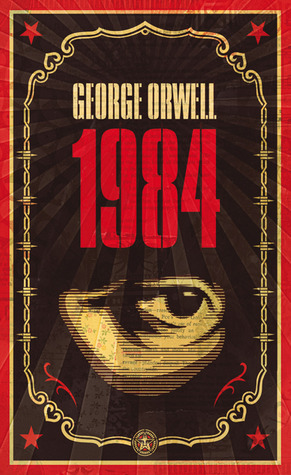 In 1949, George Orwell envisaged an apocalyptic, dystopian society arising by 1984, characterised by secrecy, the phenomenon of ‘doublethink’ and the implementation of an entirely abbreviated form of English, ‘Newspeak.’ 34 years since the real 1984, and our society perceives Orwell’s work as “excessive,” pessimistic foreshadowing, a predicted societal collapse that never really came to fruition. But what if his predictions were just a little premature? Emojis are inarguably the most recent progression in language and communication. Granted, the ‘tears of joy’ emoji has not yet made it into the Oxford English Dictionary, but so-called ‘Emoji Dictionaries’ have been hitting the shelves not just nationally, but on a global scale. Whilst these are often satirical and not to be taken too seriously, one thing is increasingly clear: emoji transcends language barriers. The same emojis I am iMessaging my friends are seen across the globe, the same ‘language’ of sorts being globally understood and adopted. There is no doubt that I – painfully monolingual – would struggle to ask a French woman where to find the nearest coffee shop, but a few taps on my phone’s emoji keyboard, and she knows exactly what I mean. Surely this is a good thing. Surely emoji can do no wrong. Or can it? It’s inevitable that opposition will arise to this new lingua franca. As Donald Mackinnon outlined, language innovations will always have a positive or negative reception: incorrect or correct? Socially acceptable or unacceptable? Useful or useless? So which category does emoji fall into: useful or useless? Clearly, emojis have infiltrated our society and other societies across the globe. But what about the people without access to emoji? Without access to a mobile phone? Are they to be left behind by this new language phenomenon that is sweeping across all 6 continents? Or are they merely missing out on another ephemeral trend humanity are renowned for? Obviously, emoji has its faults. Whilst it is increasingly accessible – with its recent update of emojis of every race – it is equally inaccessible. Emoji is restricted to mobile phones, namely Apple’s ‘iPhone,’ though Samsung have inevitably had a crack at its own version of this trend. What will we do when we’re so used to emoji, but have to write an essay by hand? What will we do when we come across someone who doesn’t actually know what a monkey with its hands over its eyes means? Are we entering into a newly divided society? Surely we can’t leave these people in such dire, inhumane conditions? Unfortunately, this is what emoji is leading to: segregation, alienation, and disillusionment. Or am I taking this all a little too seriously? No, let’s not get into it. YES. This is such a great post! I took an Evolution of English course once and we discussed the evolution of emojis as a kind of language…. because people really do use them to communicate quite a bit. I think the endless comparisons between 1984 and our modern society are fascinating! Your perspective is an interesting one. Orwell describes the party in Nineteen Eighty-Four “as a giant boot, stamping forever on a human face”. From the reports which filter out of North Korea it seems as though that society is Orwellian at least in part. However in democratic socities we have no “giant boot”. We do, however have people voluntarialy subjecting themselves to being gawped at. “Big Brother” is not some visage on a poster flapping in the wind, rather its a TV programme where people with little or no talent make fools of themselves (with no compulsion) for the entertainment of the viewing public. Likewise we have programmes where the inadequate wash their dirty laundry in public to the amusement of the viewing public. For example we see a woman screaming at her boyfriend for sleeping with her best friend. I only wish that I was making this up! Someone is making megabucks from this pap while the proles watch it rather than reading Keats or Dickens. There are no t”Thought Police” just stupid sheep wanting to be fed rubbish. I’m not advocating that this stuff be prohibited, I just find it sad that its so prevalent. I agree! It’s daunting to see the state of our society in the modern world and compare it to what writers like Orwell envisioned in the vein of satire, and what at the time was called “eccentric.” Our society has certainly come a long way. This is such an interesting train of thought!